Sydney has been my home forever. It’s where I grew up, where most of my memories were made and where my family and oldest friends live. It sits closer to my heart than any other city in the world. I love it! But I haven’t always thought it was so great. It took travelling the world for me to truly appreciate my home city for what it is. Even while living in the incredible city of London (my second home), I still called Sydney home. Of course it has its bad points but you’d be hard pressed to find a big city in the world that doesn’t. Let me share with you five of the reasons why I love Sydney so much. Now I know I haven’t seen every harbour in the world so I shouldn’t say it is the most beautiful in the world but I have seen Sydney Harbour at its absolute best. Picture this…….A perfect blue sky day, midday sun shining on the water, boats cruising around, the one of a kind architecture of the Opera House on the right and the Sydney icon, the Harbour Bridge on the left. The water looks like a million diamonds shining in the light. The positioning of Sydney’s city, northern and eastern suburbs make Sydney Harbour, or Port Jackson to call it by it’s proper name, very accessible to locals and visitors. There are so many great vantage points to view the harbour from. Every visitor to Sydney must take a ferry trip. Whether it be over to Manly, Taronga Zoo or just to cruise around. If you like a bit of adventure, you can try climbing the Sydney Harbour Bridge for incredible vistas. Or something a little more tame, have a meal or drink at one of the many restaurants located high up some of Sydney’s tallest buildings. But my personal favourite is simply to take a walk around the harbours edge. From the Rocks, through Circular Quay, over to the Opera House and through the Botanic Gardens around to Mrs Macquarie’s chair. I have done this walk many times and on a sunny day it feels like life couldn’t get much better. Think you know of a more beautiful harbour in the world? I would love to hear about it. Sydney is a very diverse place in terms of culture and its people. A lot of you may not realise this but out in the suburbs there are little boroughs of ethnic communities all over the place. And with these communities you get wonderful food from all over the world. 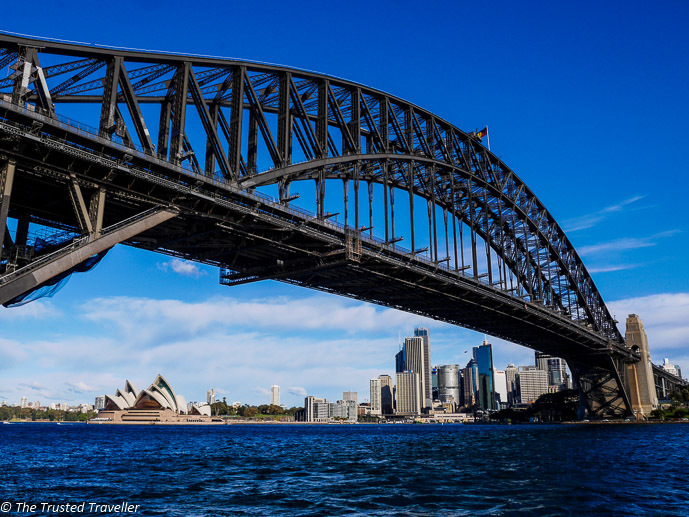 Apart from Bondi and Many which are full of English, Irish and Scandinavian backpackers, you will find areas of Sydney where various cultures from around the world have built there own communities. Places like Cabramatta, in Sydney’s west, where you can find some of the best Vietnamese cuisine as well as grocery items from Vietnam that you can’t get in the next suburb over. 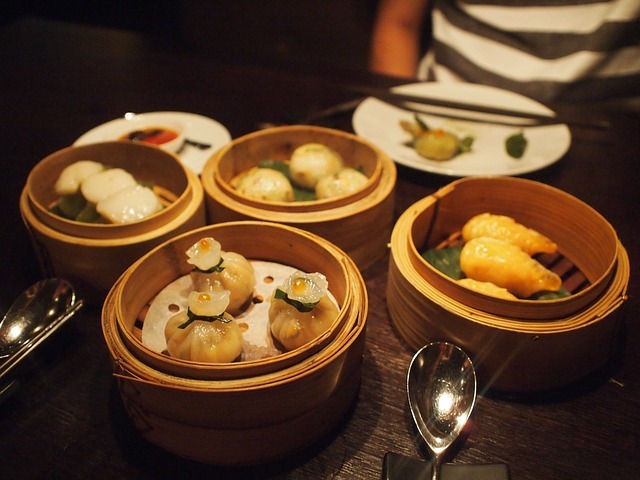 Head to Ashfield for Chinese cuisine as good as in Shanghai. Or Leichardt to mingle with the large Italian community. And Auburn for a taste of Turkish food and Ottoman style in the Gallipoli Mosque. I love that I can have a meal and shop for groceries at one of Sydney’s markets from just about any country in the world without leaving my own city. Sydney attracts most of the biggest acts in music and entertainment. The celebrities love coming here and performing, giving Sydneysiders a fantastic opportunity to see all of their favourite acts without having to travel half way around the world. Visiting the theatre for a musical or play is one of my favourite things to do. And in Sydney we are lucky enough to have every big name in the theatre industry putting on their shows. Shows that play on Broadway in New York and the West End in London all make their way to Sydney at some point. And then there is sport. The association between Aussies and sport is well-known around the world. We love our sport and Sydney is the home of so many great sport watching opportunities. The official home of the Rugby league, home of two AFL teams (go the Swans! ), international cricket matches, soccer (or football, depending where your from) and back in 2000 the summer Olympics. All of these and many more great sporting events can be watched most weekends throughout the year. It’s a sport lovers paradise! Also throughout the year Sydney is host to dozens of major events and festivals that are world class. My personal favourite is Vivid Sydney which is a festival of light, music and ideas. During the festival some of the city’s most famous landmarks are lit with lights in creative patterns and dance around to music. It is one of my favourite times to be in Sydney. To go with these world class events and entertainment, Sydney has world class venues to hold all of these events. From the great sound at Allphones Area to watching cricket or AFL at the historic SCG and over to the Lyric Theatre in The Star which I believe to be one of the best places to catch a show in the world. Sydney has it all. Any night of the week I can see international and local acts or sport right here in my own city. I’m not a huge outdoorsy person especially in Australia due to our many deadly creatures but I do love to be in green spaces from time to time. I need to escape from the hustle and bustle of the city and be amongst the trees and take in some fresh air. Right in the heart of the city is the oasis that is the Chinese Garden of Friendship. All around is busy streets and thousands of people going about there business, but step inside these gardens and you are instantly protected from the noise and chaos outside. A stones throw to the east from the city centre you will find Centennial Parklands. Over 300 hectares of green space to relax, walk, ride a bike or even go horse riding. But my personal favourite is in the south. Just a two minute drive from my home, The Royal National Park, Australia’s oldest National Park and second oldest in the world. 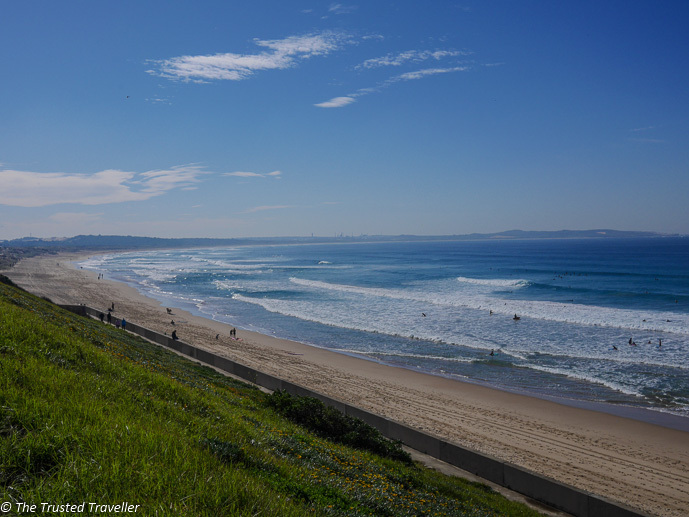 Located on the coast with some of the city’s nicest beaches, walking tracks, picnic areas and small townships. I spent a lot of time here as a kid with my family and loved it. No matter where you are in Sydney, you are no more than a few minutes from a green space, whether it be a small community park or massive National Park. It is so easy to find a quiet place to relax. Sydney is famous for its beaches. Mostly Bondi Beach but there are so many other great (better in my opinion) beaches scattered all along this coastal city. And with Sydney’s perfect climate it is warm enough to be visiting the beaches about eight months of the year. A large amount of my life has been spent on the beaches of Sydney. My Dad and his family grew up in Maroubra, just a few hundred metres from the beach. When we were kids Mum and Dad would take us to Maroubra on a warm summers afternoon for a swim and some fish ‘n’ chips or BBQ chook ‘n’ chips. I have so many fond memories of this time. These days I live in the southern Sydney area of The Shire. Yes, the place where that horrible TV show of the same name was filmed and no I, nor most people from The Shire are like those people from the show. What I love about The Shire is Cronulla beach. Just a short car ride away I can be at the beach, smelling the fresh sea air and walking with the sand between my toes. I love it and wish I had more time these days to get down there and enjoy it. In my opinion Sydney is the most beautiful city in the world. I love it and can’t imagine spending my life living anywhere else. 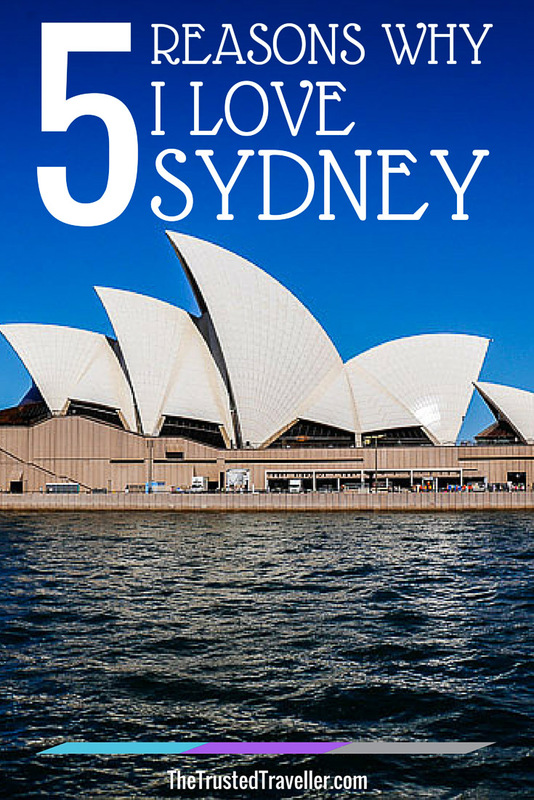 Have you visited Sydney or live here? What do you love about it? Or maybe you don’t share my love of this city. I would love to here your opinions. Glad you like Sydney. You definitely must try to get out into some of the green spaces. It’s a great escape from the busy city. Sydney certainly is a beautiful city. I remember returning back to the harbor after being away for a number of years and just thinking, wow I live in a beautiful city! I felt the same Rebecca. Absence makes the heart grow fonder! 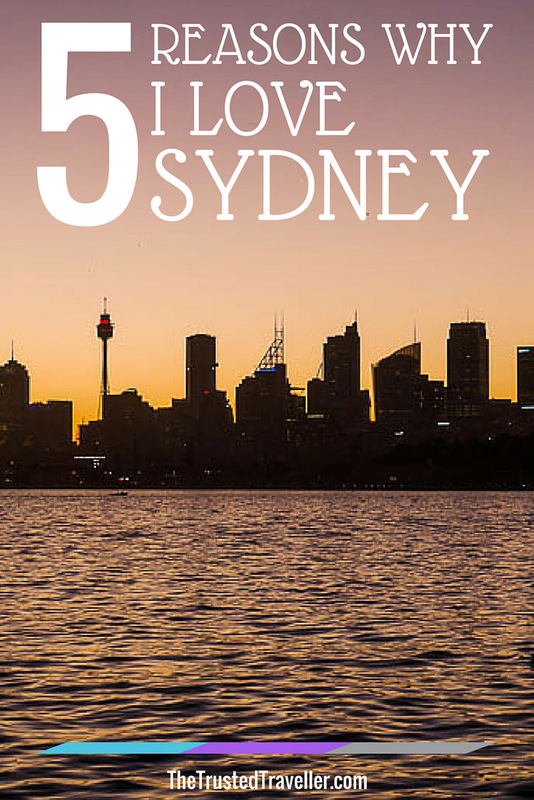 It’s wonderful to learn about Sydney from a local like you who grew up in the city. All of these things you mentioned are the reasons I want to experience this city. Vivid Sydney and the culture of the city sounds like great activities and I would never say, “No” to the beach. Thanks Brooke. I love my city so much! Hope to see you here sometime soon. 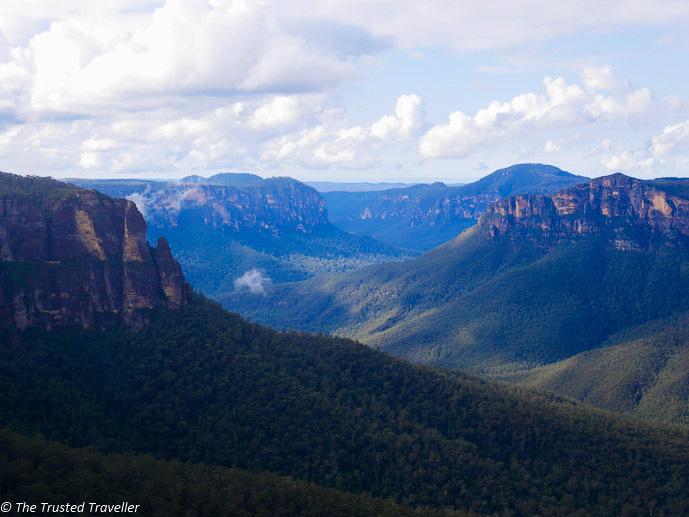 I love the national parks – particularly Heathcote and The Blue Mountains. I also love the history of Sydney, especially around the rocks. I live on the Gold Coast ad while it’s great it lacks a lot of the rich and amazing historical sites of Sydney. Sydney is so lucky to be surrounded by so much bush and the history is definitely one thing missing from this list that should be there. I love the Rocks too! I can’t wait to return to Sydney after a 16 years… I remember Maroubra beach! What a gorgeous beach! My cousin and I used to run and ‘chase the waves’ there. I always find it funny why everyone talks about Bondi beach, which is overrun by too many tourists. I totally agree Alaine. I hope you enjoy Sydney as much as you did 16 years ago.